The Babymoov Babybols Multi Set includes food containers and flexible spoons. The perfect feeding time accessory. Why should I choose the Babymoov Babybols Multi Set? 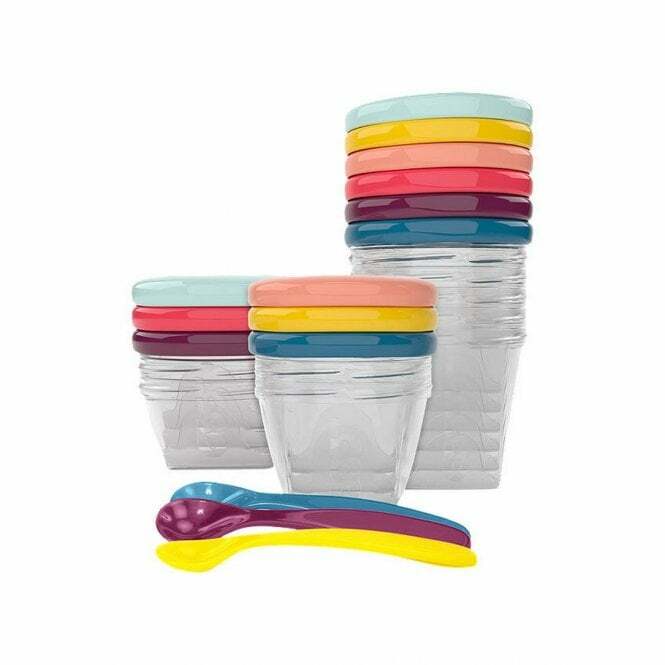 The Babymoov Babybols Multi Set are safe to be sterilised and used in the microwave, freezer or your dishwasher. The containers have a surface which you can write on, rub the writing off and re write on enabling you to label the containers easily. The Screw-on lids make the containers airtight. What are the specifications of the Babymoov Babybols Multi Set?